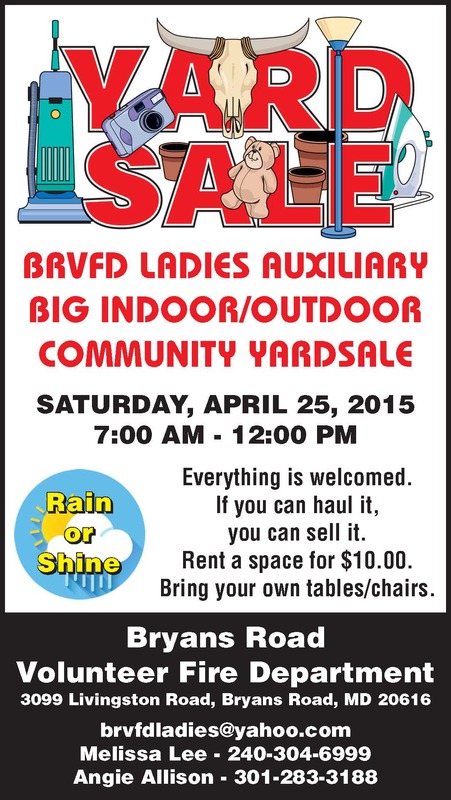 On 25 April the Bryans Road VFD Ladies Auxiliary will be hosting a Indoor/Outdoor Yard Sale. Start the Spring cleaning early and get all the stuff that you have not used in the past year and turn it into some cash. Rent a space for only $10 and bring all that old stuff to get rid of. Bring your own table to set up your stuff and the event will be held rain or shine. 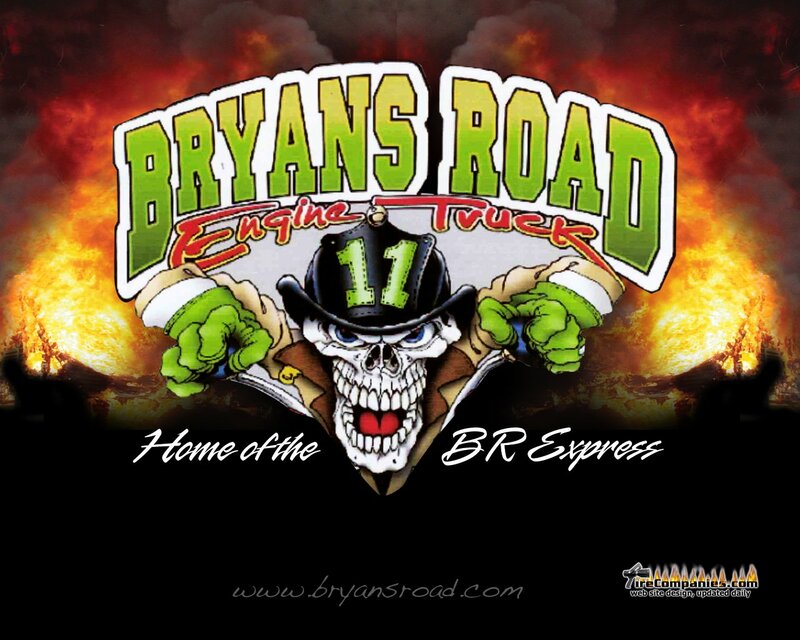 To reserve a space contact the BRVFD Ladies Auxiliary at brvfdladies@yahoo.com or you can call Melissa Lee @ (240) 304-6999, and Angie Allison @ (301) 283-3188.